nmolina | Debt Management Credit Counseling Corp.
What is the Real APR on PayDay Loans? If you or someone you know has been overwhelmed with payday loan debt, you may be eligible for a payday loan repayment program. 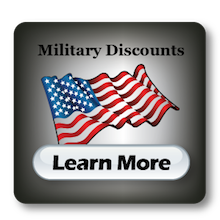 Florida Residents are eligible for a 60-day deferment. Call DMCC 866.618.3328 for more information and free assistance. In the latest of a series of research reports, the Center for Responsible Lending (CRL) has found that payday loan customers remain indebted double the time that the Federal Deposit Insurance Corporation recommends. “Payday Loans Inc.: Short on Credit, Long on Debt” verifies how what begins as usually a two-week, small-dollar loan becomes a deepening pit of debt lasting on average 212 days in the first year of borrowing and growing to 372 days in the succeeding year. Yet, according to FDIC guidance, no Payday borrower should be indebted for more than 90 days in any 12-month period. The report also shows how the size of these loans grow over time as well. Although the first Payday loan is typically only $279, the average customer will borrow more in principal and reaches $466 over time. The catch is that as the amount borrowed increases, so do the applicable fees and interest that the borrower must also pay. According to CRL, much of the problem with fully retiring payday debt is due to the industry requirement that borrowers pay the entire loan with the next paycheck. For most borrowers, this specific loan term denies them the ability to financially manage the rest of their lives. The financial burden of only having two weeks to repay can be insurmountable. For many borrowers, even a $300 loan eats up all remaining funds after the borrower has paid for just their most basic living expenses, because they have such a short time to pay the loan back. At a time when so many people of modest means are striving to financially piece their lives together, dollars are particularly dear. Quick cash may be available from payday lenders. But, there is nothing quick about getting rid of that debt. Borrowers beware. If you have Payday Loans that you are struggling to repay, or are caught up in the seemingly never ending cycle of renewing loans, DMCC can help. Click Here to learn about DMCC’s Pay Day Loan Assistance. These days, many consumers are becoming more conscious about the role their credit scores play in their everyday lives, but at the same time, they may not know exactly what goes into it, and what they can do to improve it.About 42 percent of consumers have checked their credit scores in the past 12 months, and there was a relatively even split on the source of this information, between lenders and the three major credit bureaus, according to a new survey from the Consumer Federation of America. Not surprisingly, when asked to answer questions about how credit scoring works, those who had checked their standing were more likely to respond correctly than those who had not. 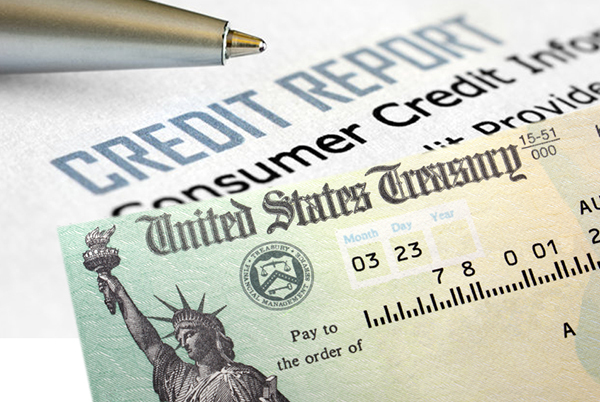 Overall, the number of consumers who knew what types of entities check credit scores rose 8 percentage points, while those who knew what types of companies collect the information used to create the scores jumped 7 points, the report said. More also knew that they have more than one score, what constitutes a strong rating, and the ways to increase their score, as well as the importance of making sure their credit reports are accurate. In all, 97 percent knew that making on-time payments was crucial to maintaining a healthy credit score, while 85 percent understood that keeping balances below one-quarter of their total credit limits was also key, the report said. Another 83 percent said they knew not to open a number of new credit card accounts in a short period of time. Usually, the only way for consumers to improve their credit score is to make better efforts to pay all their bills and maintain low balances over the course of several months. However, checking their credit report for inaccurate information, and reporting any incorrect data they find to the bureau that issued the document can also help to quickly boost their score. Ever wonder how someone with limited income manage to live comfortably while someone with a more desirable income manages to be under water? While some people may believe that inadequate income contributes to their mismanagement of their finances, those who desire to get out of debt and remain debt free believe in a different approach Its not how much you make, its how you spend it. More often than not, it seems people of modest means who exhibit an ability to properly manage their finances have a combination of multiple characteristics. People who are in a good financial position always pay close attention to their personal finances. They know how much they earn and they keep track of how much they spend and where every penny goes. Because they’ve got a good handle on the state of their personal finances, they are less likely to buy something they can’t afford. I remember somebody once telling me that debt is a form of indentured servitude where we end up sacrificing our future earnings in exchange for instant gratification. Financially savvy people understand that, in most cases, such a trade almost always ends up being a Faustian bargain. More often than not, folks who are debt-free are also practical people. Because they are practical, they understand the meaning of value. For example, a car is often looked at merely as means to get from point A to point B, so why buy a Lexus when a Corolla will do? In the same vein, why pay double for designer jeans that will last just as long as the no-name alternatives? Such a philosophy even stretches to the grocery store, where name-brand items often give way to their store-brand counterparts. We all know there are people out there who get a high on spending money, whether they have it or not. While not physically destructive like a drug or alcohol addiction, an uncontrolled shopping habit will make it virtually impossible to remain debt free. People who are debt-free didn’t get there because they were impulsive shoppers, or always looking for instant gratification. If the money for something wasn’t in the budget, then they saved their money and waited. Because they refuse to let their self-worth be defined by their possessions, the financially free never feel any pressure to spend money in order to try and keep up with the Joneses. Those who are debt-free understand that their status in life is more accurately conveyed by self-confidence, rather than dubiously deceptive displays of wealth. People who are in control of their personal finances aren’t afraid of credit cards. In fact, they embrace them. And while the financially savvy understand the incredible benefits that credit cards provide their owners, they also know that if they fail to pay them off in full at the end of each month, they will pay a heavy price. This knowledge fosters a healthy respect that keeps their credit cards from being abused. Financially responsible people refuse to make excuses. If they lose their job, they know it’s their responsibility to have a rainy day fund in place – and if they don’t they’ve got no one to blame but themselves. Short of an unforeseen catastrophic medical issue or natural disaster, they also understand that when it comes to living within one’s means, they are in complete control of their own destiny. The pursuit of expensive toys and other possessions can certainly make life more luxurious. But at what cost? I know it’s a cliche, but most people who are debt-free understand better than most that money cannot buy lasting happiness. As such, they often tend to live simpler lives that focus on the joys of family, rather than the accumulation of material possessions. How many of them apply to you? The 4 Steps to Budget Your Paycheck Starts Today! Why budget your paycheck today? It is important to manage your money. It enables you to meet your monthly financial obligations on time. Managing your finances also help increase your capability to save for your retirement, education funds or by simply having extra sitting in the bank. Budgeting your paycheck is an art. It is designing and planning the future of your wealth. Your financial plan is showing you the direction of your finances and will help you maneuver within your means. The money that you own and can spend anytime is what you will be able to include in your budget. There are many ways to do your budget but I will show you the 4-steps on how to do budgeting effectively. Making a financial plan can be seen by many as a balancing act. These four steps on how to budget your paycheck will also help you design your safety nets while walking in a tight money rope. It will allow you to plan in advance if you need additional sources of income or if you need to make a temporary loan to make ends meet. Without a written budget, you have a very high chance of overspending your money and not knowing what are the consequences that lies ahead. This is what we are trying to avoid here. We know that the effects of overspending or being cash strapped places a heavy toll in our health, wealth and relationships. Step 1: How much money do you bring home? You need to know how much income you earn in a weekly, bi-weekly or monthly basis. Knowing how much is your paycheck, after deducting taxes, is the first step in creating your budget. If you have been earning for a period of time, you already have a fair idea of your average income. 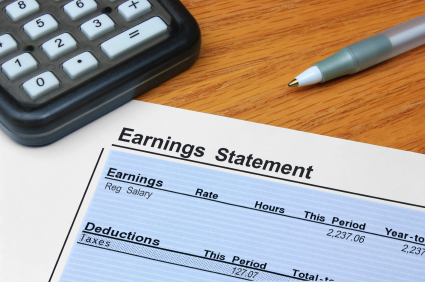 To the person who just got its first paycheck, your take home pay is the gross salary minus the federal and state taxes that are deducted from it. Your federal tax rate ranges from 15%-35%, depending on your income tax bracket. Your state tax deduction rate also depends on which state you live in. Fixed expenses are your monthly financial obligations that you need to pay on a consistent basis, whether you like them or not. Regardless of your financial activity, fixed expenses are awaiting payment from you every single month. This means that even if you lose your job or your income, you are still obligated to pay them. During the recent economic recession, when millions of jobs were lost, the way of life of many Americans were affected drastically. Many could not afford to meet their ordinary fixed expenses anymore. Medical and Prescriptions Costs – Your monthly medical needs that your doctor has prescribed for you. School expenses, tuition fees and books – Yourself and/or your dependent’s K-12 and college school fees, supplies and books. Grocery – Your food and basic household supplies. Gas – This expense is a vital part of your car amortization expense. It cannot run without gas. Fixed expenses are mostly fixed in dollar value on a month-to-month basis.This is not usually affected significantly even if your income increases or decreases at the end of your pay period. Variable expenses are your expenses that you have full control. This type of bills are your spending habits that you can probably live with or without for a period of time. Simply put, your controllable expenses are expenses that you can decide based on your wants and not on your basic needs. As brandrocker states, this behavior is also related with your happiness, passion, and impulse. You are likely to spend more during an emotional outbreak – both on its high and low end. Your variable expenses is directly related to your income. As your paycheck increases, your variable expenses increases along with it. The same is true if your salary decreases, your controllable expenses will decrease too. Now it’s time to make the computations on your budget. First, subtract your fixed expenses from your paycheck. The difference between your paycheck and fixed expenses will be the money available to pay for your variable expenses. Next, you deduct your variable expenses. The difference from deducting your fixed and variable expenses from your income will either be a positive or negative number. A positive number will tell you that you have extra money to save or spend. A negative difference will tell you that you are in trouble. The concept of breaking down your expenses is to emphasize the fact that if your salary or paycheck cannot pay all your fixed and variable expenses, there is data available for you to analyze your spending pattern. You will be able to identify specifically which part of your budget is doing okay and which part has gone wrong. You have two immediate options to solve your budget shortage or lack of money thereof. The first option is to increase your income or salary by the amount you need. Increasing your income is usually the first choice that you will make. This way, it doesn’t affect the dollar value you have placed on your budget’s fixed and variable expenses. Start up a small business at home that you are passionate about. Adjust your schedule so that you can work on it at night, during weekends or on your free time. Turn your hobby into an income generating activity. Usually, your hobby is your craft that you really enjoy doing and is good at it. The second option is to reduce, constrict, eliminate or sacrifice your Variable Expenses. You can use the trial-and-error approach, adding or subtracting dollar amounts from one controllable expense to another until you arrive at your desired result. The bills you identified as variable expenses are the ones that you can manipulate to make your budget work. Bundle your cable, television and telephone lines to get the cheaper upgrades for the services. Most of the these companies have business ties with each other that they offer cheap bundled products. Be aware that their promotion runs for 12 or 24 months only and you need to renew them to keep on paying the promotional rates. Affordability – The question is, can you afford this vacation? Have you been saving up for this trip? Don’t sacrifice your basic needs for a lavish activity that you cannot afford to pay. Worth – Is the trip worth it? Don’t rely on what you read on the advertisements for your vacation destinations. Do your own extensive research before making your decision. Priority – Do you have to go on vacation now, or next year, or the year after next? Which of the many vacation plans you have should you do first? Your trips should not have a negative effect in your financial health when you come back home. Plan recreational activities inside somebody’s house. Getting together with friends and family to spend weekends in a house is cheaper than somewhere else. Your budget does not have a mind of its own. You have to constantly check your actual expenses versus your budget. Monitoring your expenses ensures that your money is on the right track. It’s income tax season and many Americans have already planned what they will do with their refund check as soon as they get it. Making large purchases or taking a vacation are popular ways to spend tax money. Many consumers also use their tax refunds to pay down credit cards or other debt. Whether you are looking to buy your dream car or improve your financial wellness, DMCC has a great service to give your goals a boost. DMCC’s Credit Score Analysis service will provide you a custom plan of action on how to improve your credit scores for only $49. If you plan to make a large purchase with financing, your credit score will be a deciding factor for approval, as well as getting a desirable interest rate. Your purchase options may also be limited if your credit score does not meet the lender’s requirements. Even with approval, a low credit score may result in a higher interest rate costing you thousands of dollars. Ultimately, your credit score will either cost you thousands of dollars or save you thousands of dollars in interest over the long run. If you plan to pay down your credit card balances or other debts and do not have sufficient funds to pay all your debts in full, then you should allocate payments in amounts that will maximize your credit scores. For example, reducing the balance-to-credit ratio on three of your credit cards to below 30% should increase your credit scores by more than just paying one of your credit cards in full. DMCC’s Credit Score Analysis service will identify the specific steps you can take to increase your credit scores, helping you get affordable financing for that planned purchase, either now or in the future. Our certified credit counselors will provide you a written report that tells you exactly what you can do, including how much cash you need to pay down each of your outstanding debts to maximize the positive effect on your credit scores. After you take each step, it will typically take 30-60 days for the credit reporting agencies to update your credit reports and scores. Once the changes have taken effect, you can start planning your purchases with confidence in knowing your credit worthiness has improved. If you think your credit scores could be better and anticipate receiving a tax refund this year, consider taking advantage of this valuable DMCC service. Most people with credit cards know the term balance transfer. They may have even been enticed by an offer in the mail. To those with an enormous amount of debt, it may seem counter-intuitive to get another credit card. But in the slowing economy, balance transfers can lower monthly expenses and play an important role in personal budget management. A balance transfer literally transfers the balance from one credit card to another one with better terms and low or zero interest rates. It can assuage post-holiday-spending hangovers, help you make large purchases, combat high interest rates (especially on rewards cards), or relieve you when intro rates on current cards expire. It can be a smart way to buy time-for a limited period of usually 6 to 12 months-where you can avoid finance charges and make payments to the principal balance. It’s in the interest of credit card companies to offer balance transfer deals. They want to lure new customers with good credit who’ll stay for at least four years. They also want to keep pace with the increasingly competitive credit industry. They do this by offering teaser rates (0% or low intro rates for the balance transfer for a limited time) and low fixed rates (for the life of the transferred balance). However, given that most people won’t pay off their balances before intro rates expire, they stand to make money from interest. They also charge different (higher) rates for new purchases made on the card with no grace period. For a new credit card and ideal intro rates, you need good credit. Just applying for the offer doesn’t guarantee you’ll lock in intro rates, especially if your credit is bad. If it is, and they still grant you a card, you’ll have higher interest rates and it won’t be worth it. For tips on repairing and building credit read Building Credit While You’re Young. After you have applied for a Balance Transfer card and received it in the mail, read the card-member agreement that comes with it. If you have qualified for the 0% balance transfer rate, call your new card issuer to request the transfer. Some issuers will mail you convenience checks — just make sure they are for balance transfers not cash advances. Continue making minimum payments on your old card since it can take four weeks for the transfer to complete. Hidden Fees: Most charge a transfer fee, usually 3% of the transfer amount. Aim for one that caps the amount at $50 to $75, or else a large balance transfer could cost a few hundred dollars. Avoid cards that charge a membership or annual fee. Transfer rates versus purchase rates: Some offer 0% APR on balance transfers but not new purchases. Right now, a number of banks are offering 0% APR on new purchases as well, so make sure you’re getting the best deal possible. Tricky payments: Payments are often applied to the transferred balance first because it has lower rates. The balance transfer must be paid before payments are applied to new purchases. For example, if you transfer $5,000 and then charge $50, all payments will go towards the $5,000 until it’s paid. Meanwhile, the $50 accumulates interest because most balance transfer cards don’t offer grace periods for new purchases. Shop around: Compare the fees, APRs and payment policies of several cards. And be realistic about how quickly you’ll be paying down your debt. If you won’t have the balance paid before intro rates expire, find a card with the best overall rates and fees. Pay more than minimum: Pay the principal balance before intro rates expire so you won’t have to pay interest. If you can’t pay down the full balance, at least pay more than the minimum. Once the standard rates kicks in, just making minimum payments extends the debt’s life for years. Personal Budget Management: Always make (at least) the minimum payment and pay on time. If you miss payments, you’ll end up with unreasonably high rates and late fees. Set up automatic bill pay if you’re forgetful. Maintain clean credit: Some credit card companies routinely check your credit reports and raise interest rates if your profile changes for the worse. Make sure you keep a clean credit history. Think long term: Don’t think that serial balance transfers are a way to avoid paying off your debt. Sooner or later you’ll have to pay it off. Consider them a potentially smart, near-term way to reduce the cost of carrying the debt you have and help you get back into the black sooner.